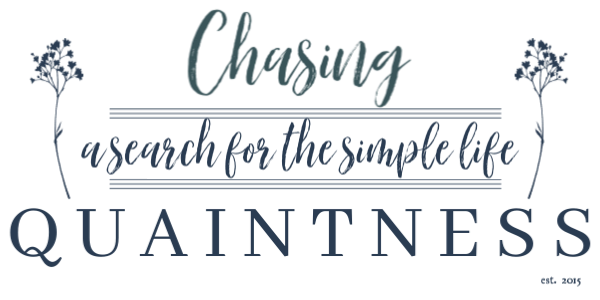 You know how it is when you update your blog...you peruse the old posts and critique them in an effort to improve something about your writing skills...or photography skills...or nunchuks skills (autocorrect wanted to change this to "upchuck" skills). Hmmm, I guess that would be appropriate for some of my earlier posts...UGH...what was I thinking!?!! Everyone loves some "eye candy". And no, I'm not talking about some buffy, beefy 30-year-old guy with his shirt off and his pants half unzipped giving me a peek at his Calvin Klein undies.....sporting a nice tan, a dimpled chin, a cowboy hat....wait, I'm getting totally distracted...sheesh. Someone remind me to write a letter to somebody in charge to tell them how offensive these photos are on the internet! 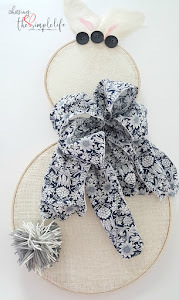 Since it has been a crazy week over here (did you notice I never did get back to a "real" post yesterday), I've decided to share a few pieces of eye candy that I received in an email from BHG. Don't you just love their emails??! There is always something beautiful and inspiring to see in those emails! Shut the front door....or any door really. 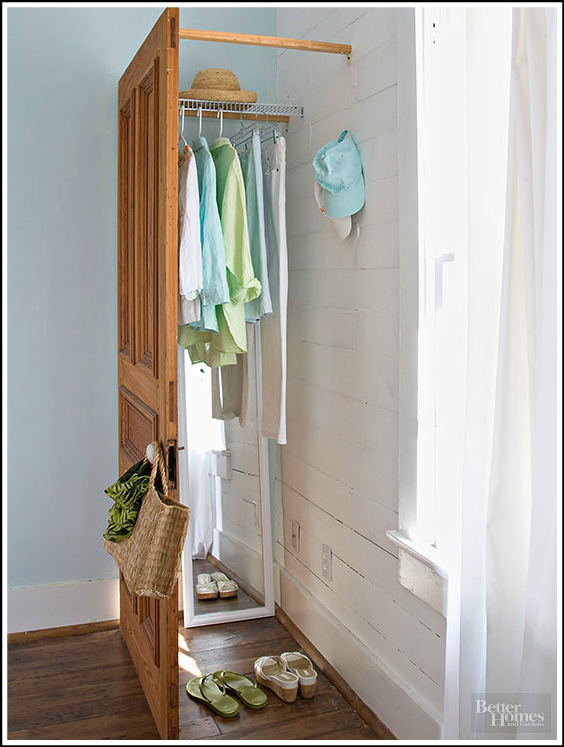 How incredibly creative to use a door to section off and disguise a closet in a small space! 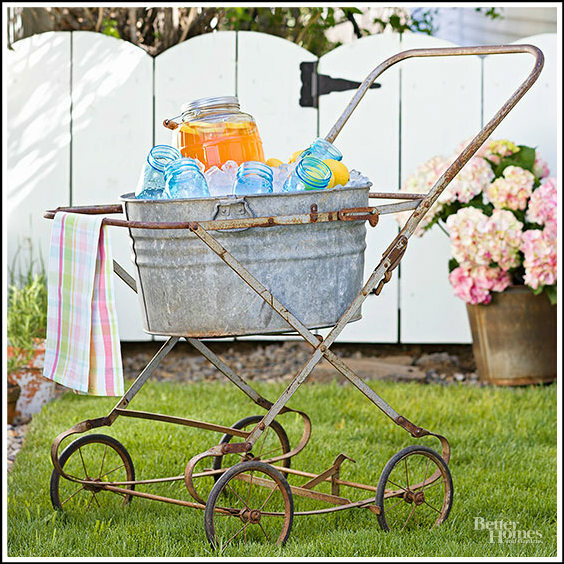 What a great idea for a beverage bucket at a party -- an old baby carriage frame with a metal tub to hold the drinks! Of course, I would make the hubster push me around in the yard before we could put the ice and drinks in it! When I'm out thrifting, flea marketing or antiquing, I always pick up old letters and postcards. I could sit for hours reading what people have written to each other in days gone by. 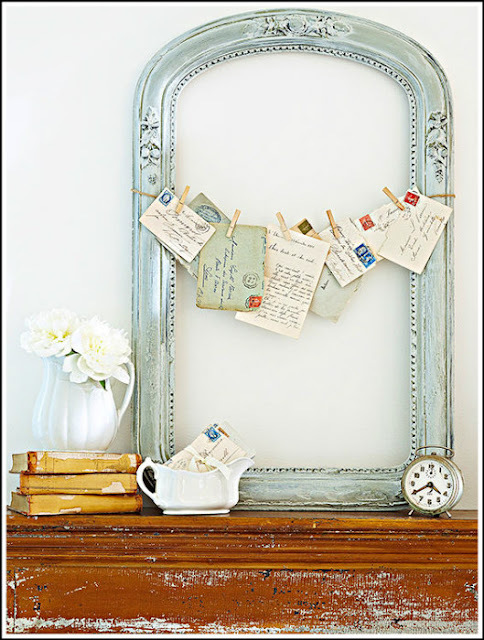 This display for old cards and letters is just too stinkin' cute! 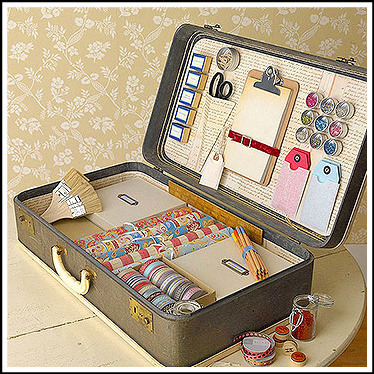 And for those of you who are crafty and have craft supplies (not me, I burned them all), how about using vintage suitcases to store those items? 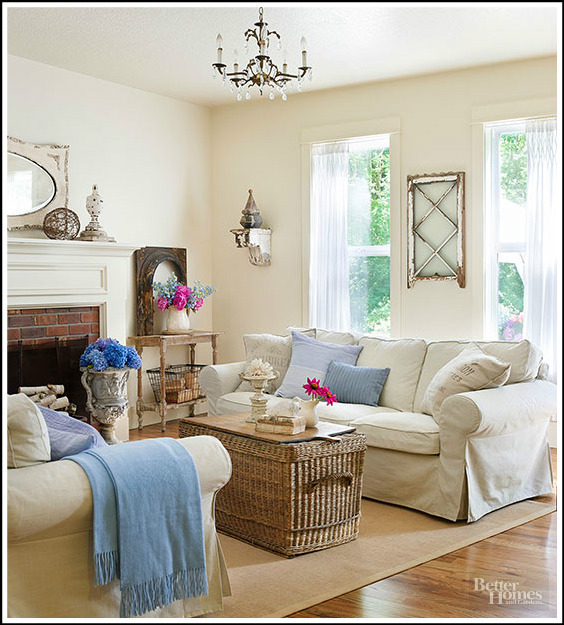 This living room is such a wonderful mix of elegance and vintage, chippy pieces. Who wouldn't want to sit here all day and relax? 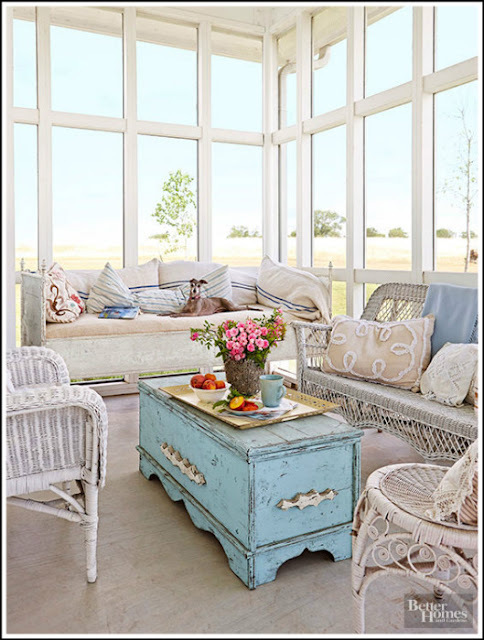 I don't know about you, but all of this "eye candy" has made me want to start redecorating a few things. The hubster is cringing because I mistakenly said this out loud! :-) But I'm definitely pinning it all so that I can take another peek! Love all the eye candy. That door as a closet is so cool. Happy Friday. Hope you MIL is doing better since the surgery. You are an angel to drive there and be with her. Hugs for you today. Thank you so much Kris! She is doing better and was released to go home, thankfully. It has been an ordeal, that is for sure...she has a long way to go in her recovery though. I love that door for a closet also...just thought it was too cool! Love and hugs to you! Thanks so much Coco! I love the door and drink station also! I would have never thought of this, that is why I am so happy there are creative folks out there to give me ideas! :-) Have a great one and I hope S is feeling better! Wow, I want that aqua trunk. I NEED that aqua trunk for my living room, since I botched the last trunk buying adventure. This was and still is a great post! Well if I had it, it would be yours! :-) I love the color...so "chippy" and will go with anything and can go anywhere in the house! 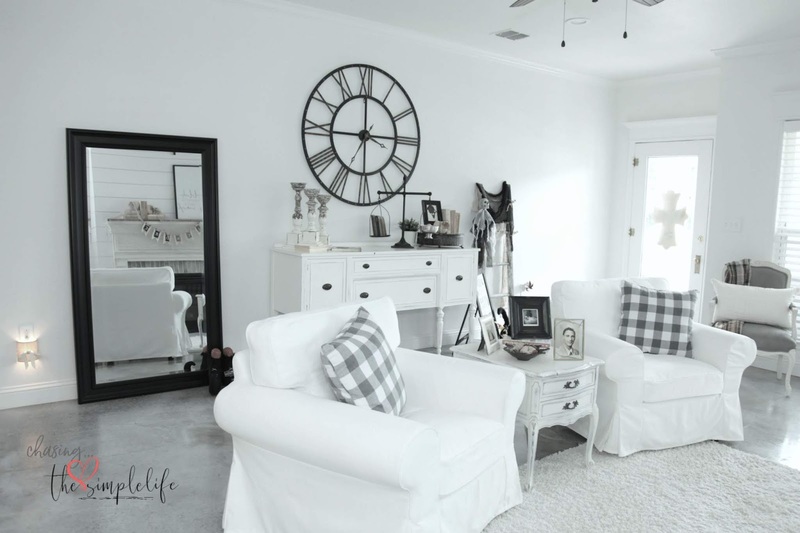 Versatile pieces like that (pretty and storage-useful) are treasures for sure! Thank you so much! Love and hugs! The living room is awesome, and I’m with you on that! I would need a small fire going in that fireplace. Thank you so much! She is doing better and was released to go home for outpatient rehab. Definitely a long recovery for her though! Love and hugs! I would love to find a vintage suitcase. I usually find them all over the place, just don't want to pay the high prices for them. 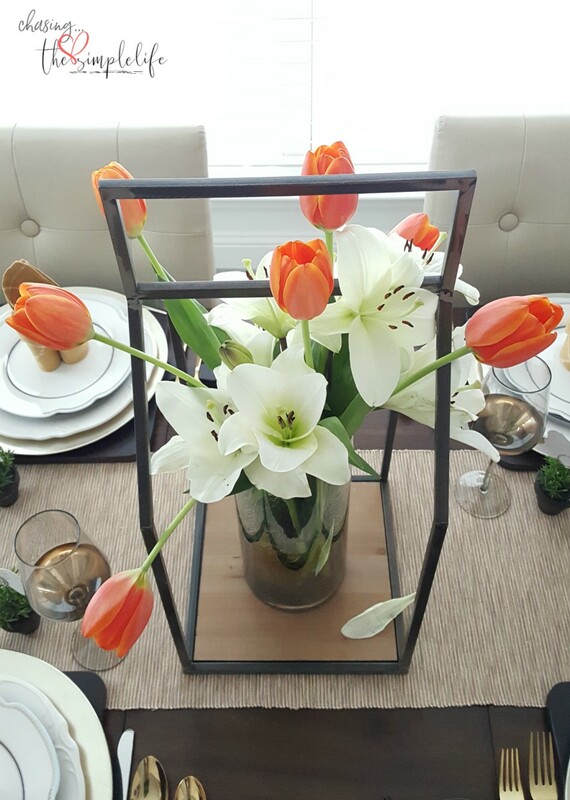 In the past, I've had several stacked to use as an end table...LOVED them! 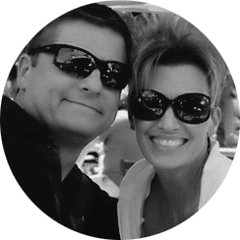 Thank you Carla, we appreciate it greatly! Love and hugs! Great minds, right?! 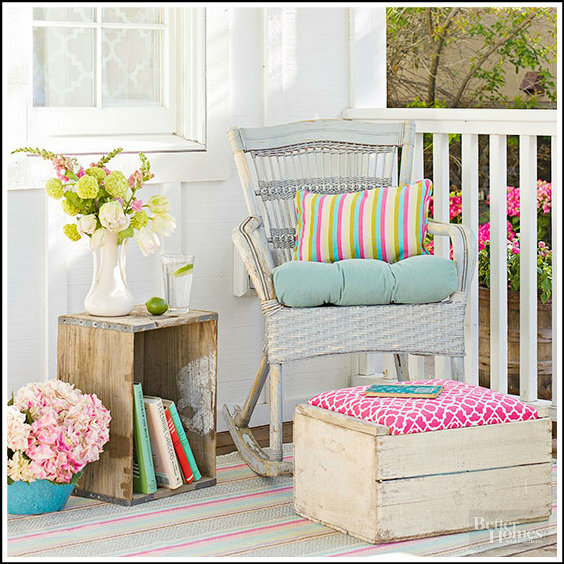 LOL Better Homes & Gardens is a perfect place to find inspiration! I would share their entire site if I had the space! So nice to see all of these. Hope your MIL is doing better now. Thank you so much Jan! She is doing better, thank you!